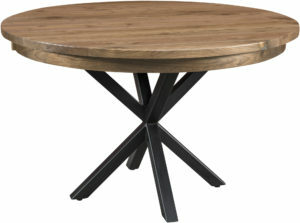 Sturdy, great-looking and long-lasting. 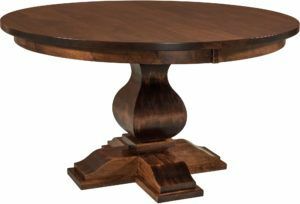 These adjectives aptly describe the collection of Amish Pedestal Dining Tables from Weaver Furniture Sales. 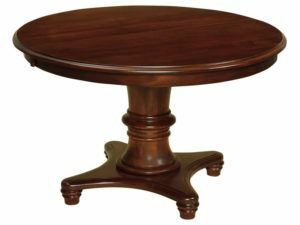 With no feet on the perimeter, our pedestal tables will command your dining room and allow you to squeeze more people around the table. 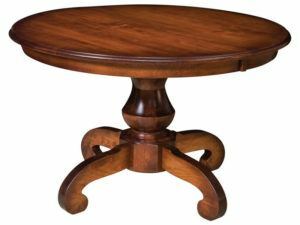 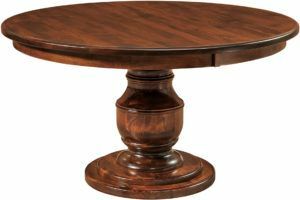 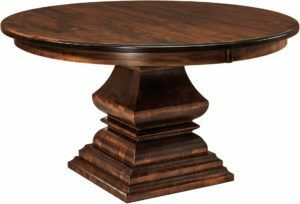 But Amish pedestal tables are superior to most pieces you’ll find in traditional franchise furniture stores and department stores. 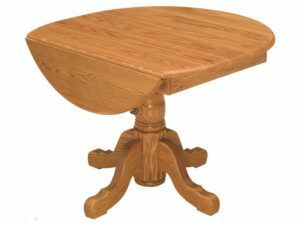 This is because the top Amish cabinetmakers in the Midwest painstakingly custom-build each Amish pedestal table. 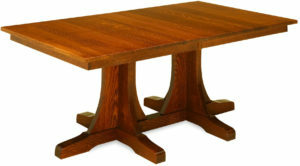 And the Amish builders use solid hardwoods, such as oak, maple, cherry and hickory. 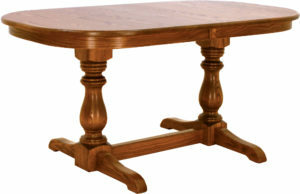 Also, our builders draw from skills handed down from their ancestors. 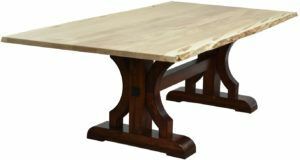 So the Amish table you choose will be rather sturdy and durable. 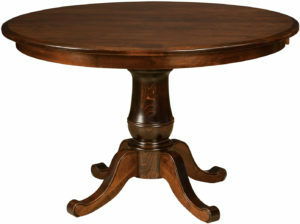 In fact, with proper care, it should last for generations to come. 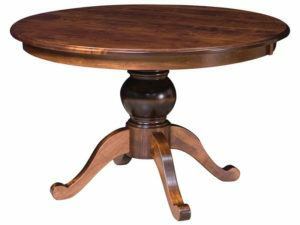 Browse our large online collection of Amish pedestal tables. 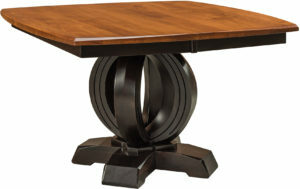 And notice the vast array of styles. 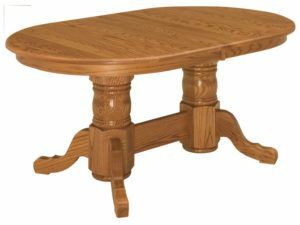 Also, consider visiting our ‘brick and mortar’ store in Shipshewana, Indiana. 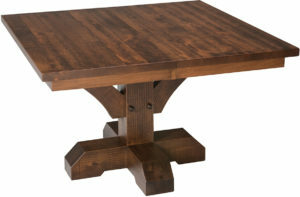 And see our Amish tables for yourself. 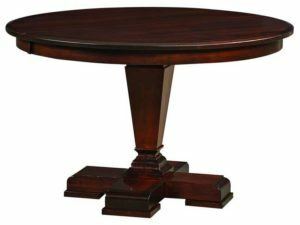 Presenting a wide selection of pedestal tables. 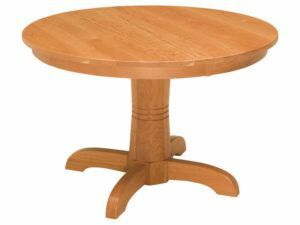 In fact, you can choose from round, oval, square or rectangular tables. 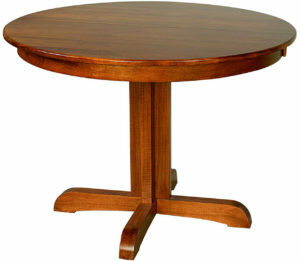 Plus a variety of sizes. 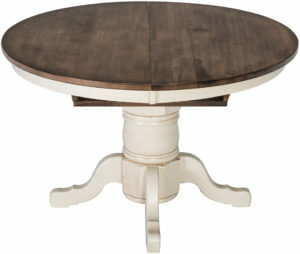 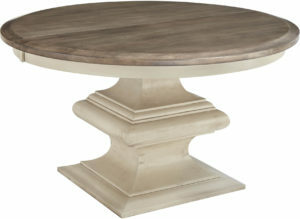 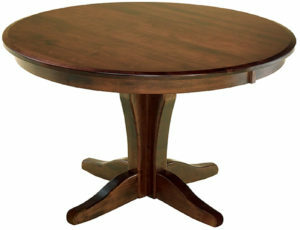 Also, our pedestal tables come in a variety of styles, from classic to contemporary. 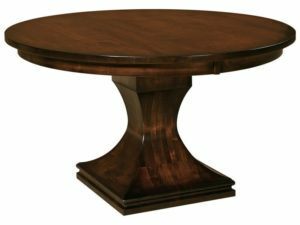 So you’re sure to find the table that’s just right for your home and décor. 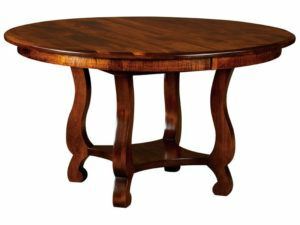 What’s more, you can order your favorite table as shown. 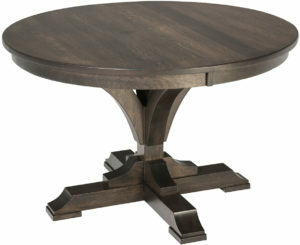 Or, you can request a customized version of the table. 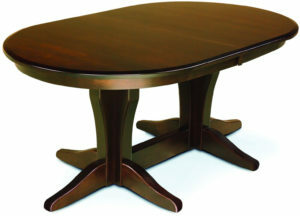 Just tell us your preferences, such as wood specie, table size and shape, edge type and number of leaves. 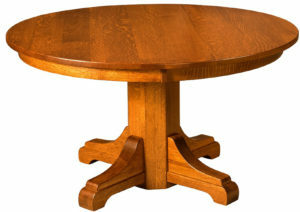 That way, the table you design will be uniquely yours. 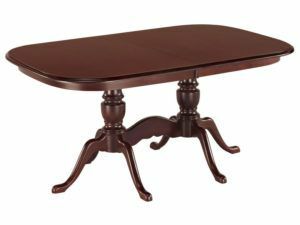 Looking for matching chairs? 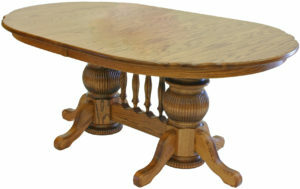 You can choose from hundreds of Amish-built, solid hardwood chairs – from relaxed to formal. 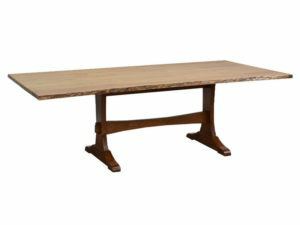 So If you’re seeking a table (and chairs) that will be cherished for future generations, look no further than Weaver Furniture Sales. 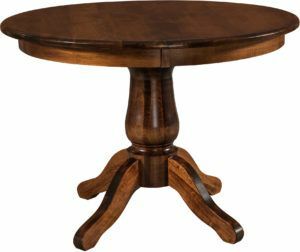 © 2019 Weaver Furniture Sales.